TCL’s new TVs powered by Quantum Dot Technologies showcase an impressive new standard in visual displays. 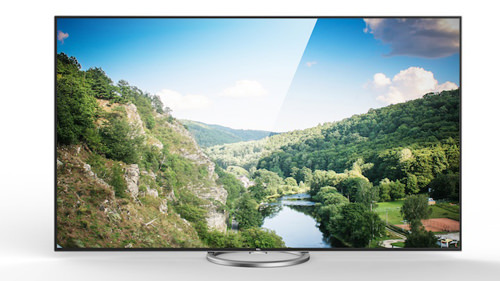 Successfully debuted at CES 2015, TCL’s Wide Color Gamut and industry-leading Quantum Dot technologies powers the Quantum Dot TV H9700, Curved 4K UHD TV H8800, and 4K UHD E6800. The new Quantum Dot display technology, provided by TCL, is able to depict more of the RGB spectrum, from vivid colors to subtle tones. This provides a greatly enhanced picture experience for viewers, which is similar to OLED yet at a price that maintains a level of affordability. TCL’s developments in this area have been so impressive that under the National Television Standards Committee (NTSC), it has achieved 110% color gamut, which is currently the best in the world. Quantum Dot technology incorporates a film of tiny light-emitting crystals into regular liquid crystal displays (LCD), offering improved picture quality at a fraction of the price of organic light-emitting diodes (OLED). Featuring an exquisite industrial design, the H9700 also features cutting-edge 30W Harman/Kardon speakers, which provide a full-bodied and immersive sound experience for viewers. The H8800 series boast the largest curvature ever of 4000R, innovative wide color gamut technology for curved surfaces (WCG technology can enhance the color gamut up to 96% by utilizing the pure white backlight, which is better than normal LED panel), the leading 4K curved surface technology and S-level Harman/Kardon speakers to provide an unparalleled immersive experience in curvature, color, definition and sound. In addition to the H8800 series and sharing the same features and sizes apart from a curved screen, the versatile E6800 series will feature a 360-degree revolving stand, allowing viewers to move the picture to perfectly meet their eye line, without having to move the whole TV. TCL’s CSOT Panel Factory in Shenzhen is the biggest LCD panel factory in China. As the only manufacturer in China that can make its own panels, this ensures consumers get a high quality product for the best available price.